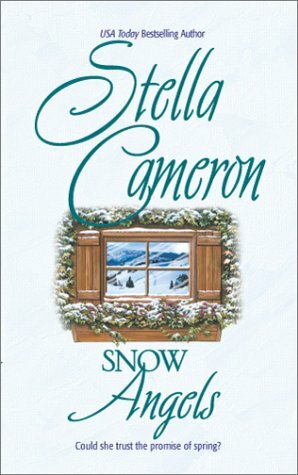 Stella Cameron is the NYT/USAToday/Washington Post bestselling, award-winning author of more than forty-five historical and contemporary romantic suspense novels and novellas. Each of her single-title releases has appeared on the WALDENBOOKS mass market, and romance lists, and on the BARNES AND NOBLE list. Stella has won the ROMANTIC TIMES Career Achievement Award for Romantic Suspense, and both WALDENBOOKS and BOOKRAK sales awards. In 1998 she was the recipient of the Pacific Northwest Writers' Association Achievement Award for distinguished professional achievement and for enhancing the stature of the Northwest literary community. Stella is a contributor to DANGEROUS MEN AND ADVENTUROUS WOMEN, ROMANCE WRITERS ON THE APPEAL OF THE ROMANCE, published by University of Pennsylvania Press, and Harper Paperbacks. Current fiction titles include mainstream contemporary romantic suspense novels, THE BEST REVENGE, and FRENCH QUARTER. THE WISH CLUB (from the Rossmara Quintet) and MORE AND MORE are her most recent historical romance titles. GUILTY PLEASURES, THE BEST REVENGE, and FRENCH QUARTER were all Doubleday Book Club's selections. FRENCH QUARTER has also been picked up by The Literary Guild and The Mystery Guild. KEY WEST appears in hardback in September 1999. Married. Three children--one married. My passions are (surprise!) writing, reading (everything), music (music holds the same position as food in my life), drama--anything performed on a stage. If I don't have tickets for a performance waiting on my desk, I go into a funk. I should have put my animals before the theatre... My dog, Spike and cat, Raven, are my constant buddies. When I'm away on a trip, buying gifts for these dearest of friends is at the top of my list of "musts." Are they spoiled? You betcha. Find out more about Stella and her books at her website!